It seems that you can barely walk down the street these days without a lovely lady sweeping past you wearing a stunning vintage or vintage-influenced dress – something that puts you in mind of an age long gone. Indeed, such dresses may make you feel nostalgic for an era that you may be too young to have even experienced. But when you would like to buy vintage dresses that will give your own wardrobe some of the ‘pizzazz’ of the old days, what do you need to consider? Is that “vintage dress” truly vintage? There’s such strong demand these days for seemingly anything evoking that ‘olde worlde’ style, that certain items that aren’t truly vintage at all can end up being labelled as such. Fair enough, so if you’ve never bought vintage dresses before, you might be happy – at least at first – with items that were manufactured relatively recently, but which nonetheless give off that ‘vintage’ sensibility. Many dresses that make no attempt to disguise their modern origins may even incorporate elements of vintage style in homage to the past, so you’ve got a lot of choice. 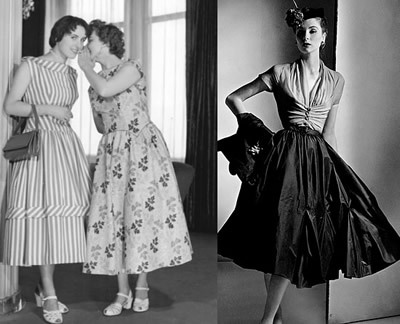 However, some of us – particularly those of us looking to assemble an outfit that is authentic to a specific era – may be quite serious about wanting our dresses to be genuinely vintage. After all, if you want your clothing to be reminiscent of the scoop-necked loose dresses of the 1920s or the vibrant colouring of the 1960s, any detailing that does not belong to that decade could look jarring. So, where is the best place to purchase vintage dresses? You could, of course, look to eBay, charity shops and second-hand stores – but how can you be sure that the items you buy from any of these sources really are vintage in both origin and style? That’s just one reason why we set up RETRuly. We are the first dedicated vintage marketplace online, and we are so committed to all things vintage that we even remove goods from our site that are not at least 20 years old. 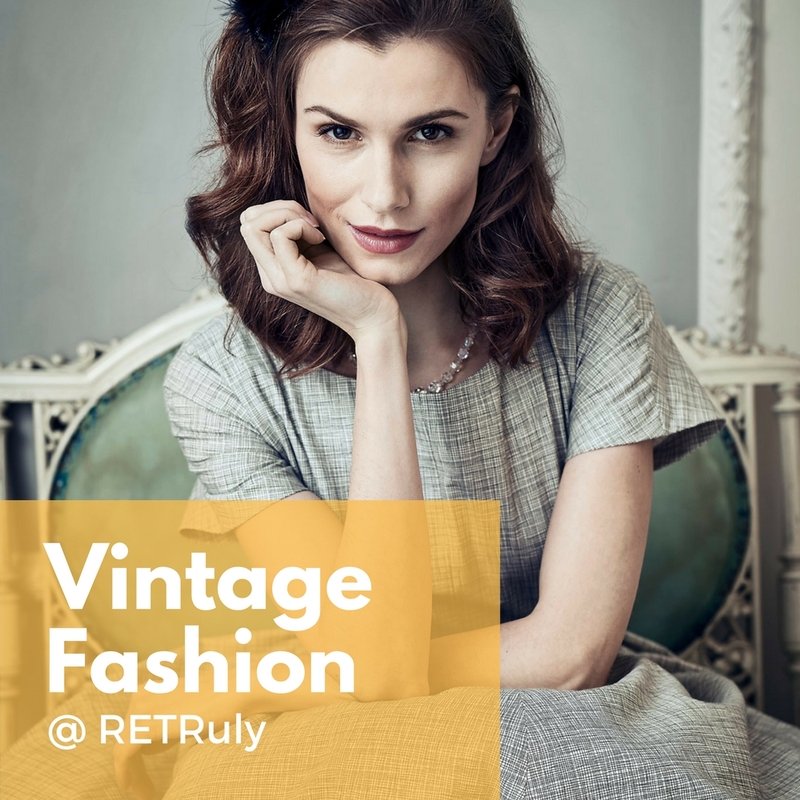 New ‘vintage-style’ items aren’t permitted to be sold by any of our sellers here at RETRuly, so you have no reason to fret about the authenticity of the dresses you buy via our platform! So, when you would like to buy vintage dresses, don’t hesitate – choose RETRuly, in the knowledge that we really are the place to come for great deals on anything and everything vintage on the web. 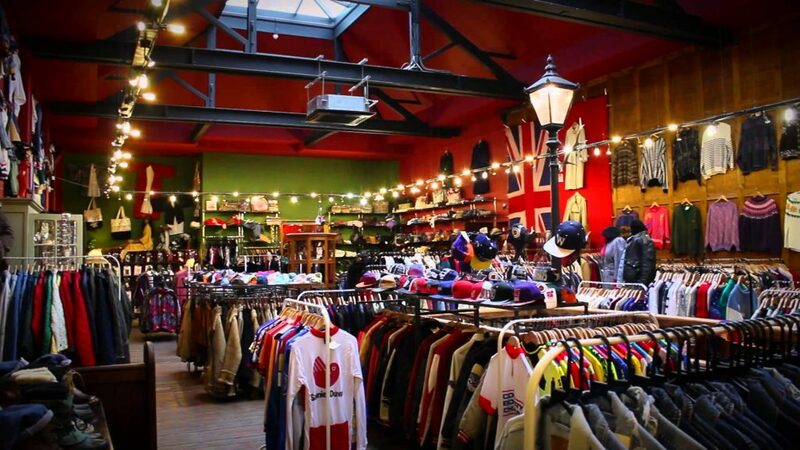 As vintage enthusiasts we like nothing more than a vintage shopping trip in London. 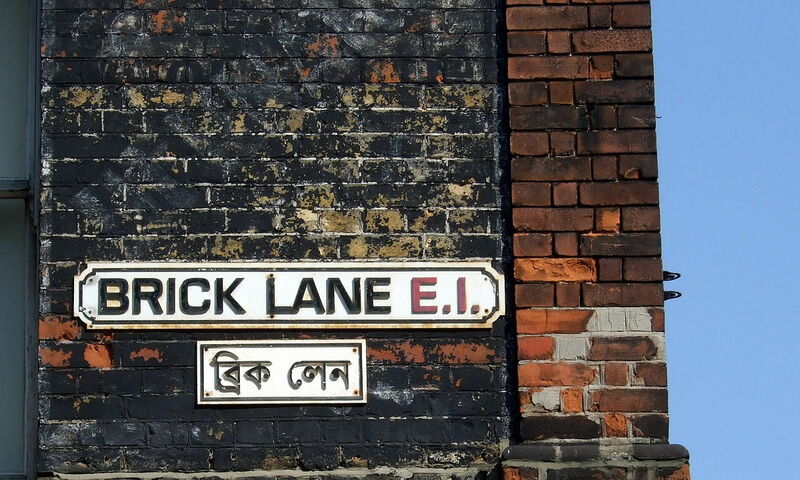 One of our favourite areas is Brick Lane, E1. 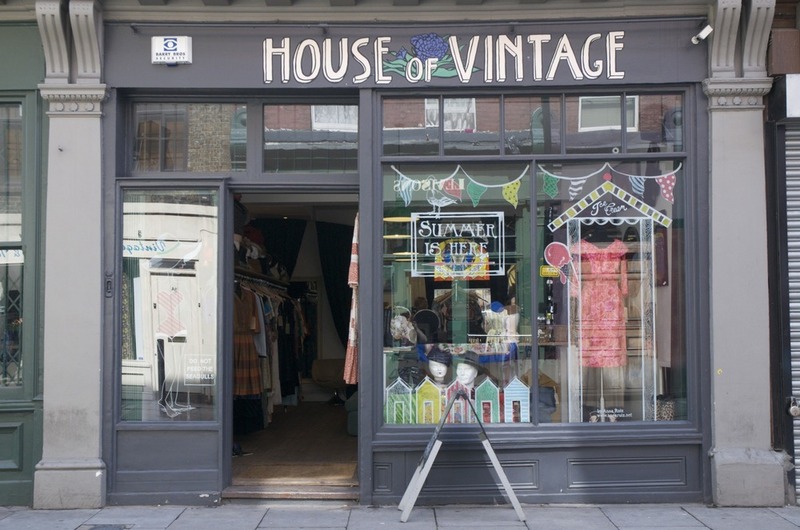 In this blog we will present our favourite vintage shops. We start at Liverpool Street station and head straight across Commercial Road towards Spitalfields Market. There are not many vintage vendors in the market now but it’s a great place to grab a coffee of bite to eat from the many fantastic vendors here. 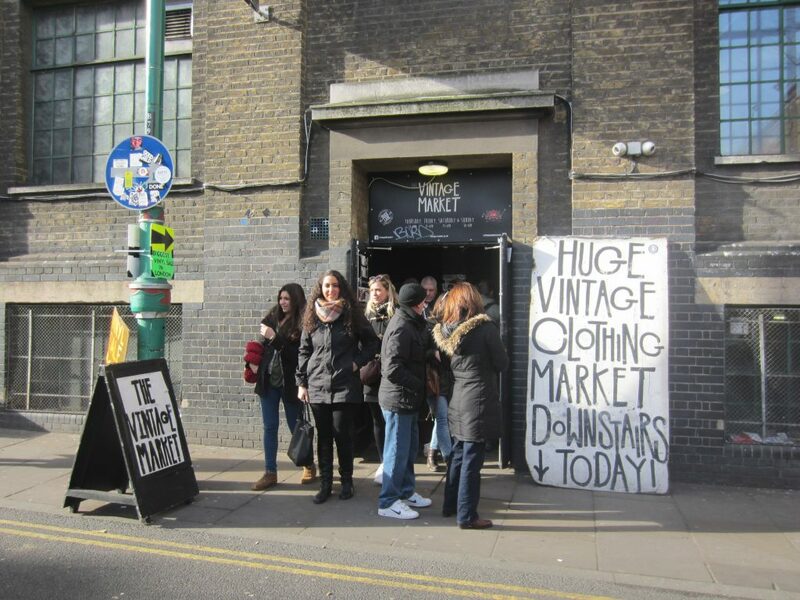 We head straight towards Brick lane and to the first stop, Blitz Vintage in Hanbury Street. 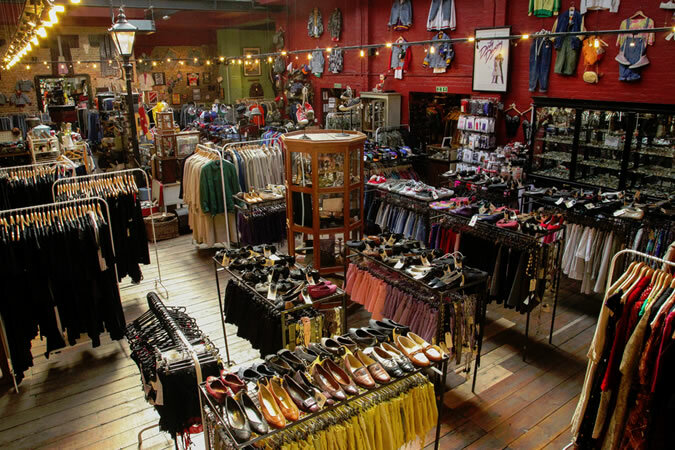 This is a stylish store set over two floors with a huge range of vintage clothes and accessories for men and women. It makes the Time Out top ten vintage stores so is a great place to start. From here, go back to Brick Lane and head north and you will come across the Vintage Market in the basement of the Old Truman Brewery on the left. This is one of our favourite spots. It is full of vintage vendors selling everything from vintage fashion, accessories to vinyl records. This market is on every week from Thursday to Sunday. Along Brick Lane there is lots to see, with some fantastic food, craft markets and some great street musicians. As you continue North take a right hand turn into Cheshire Street. The first store on you right is House of Vintage, this is a small store but we always stop here for their superb range of rare leather and denim jackets. It’s a great place for that big E Levi jacket or 1950’s leather biker jacket. From here, continue along Cheshire Street to Beyond Retro. 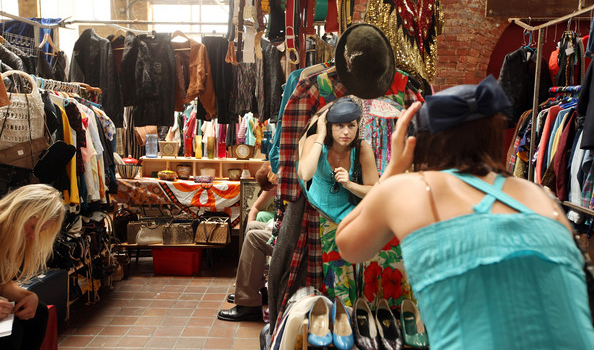 This vintage store is in a huge warehouse and has an enormous selection of vintage. Their range is for all budgets and if you take the time to really search you will find the odd hidden gem. This is well worth the small detour. 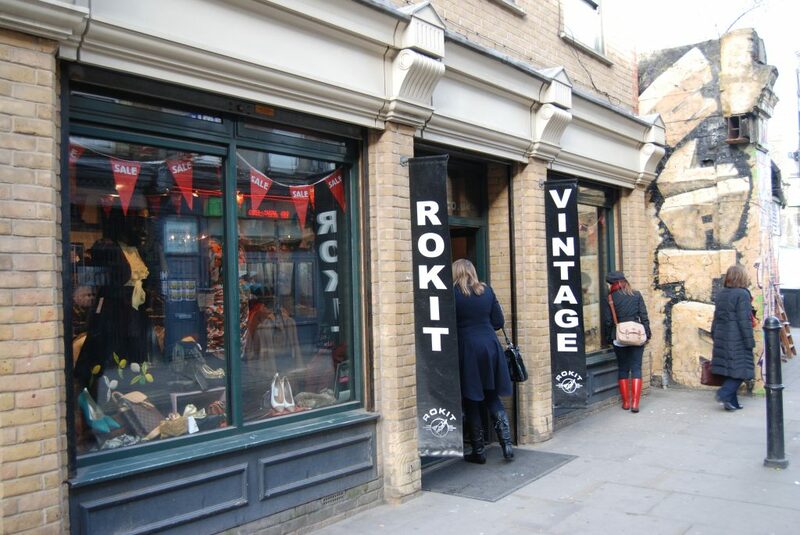 Back on Brick Lane heading North you will see Rokit Vintage on your right. This is one of the most well know vintage stores and is well worth a visit. They have a large range of clothing and accessories and the sale rail is a must. We have found some real gems at bargain prices. 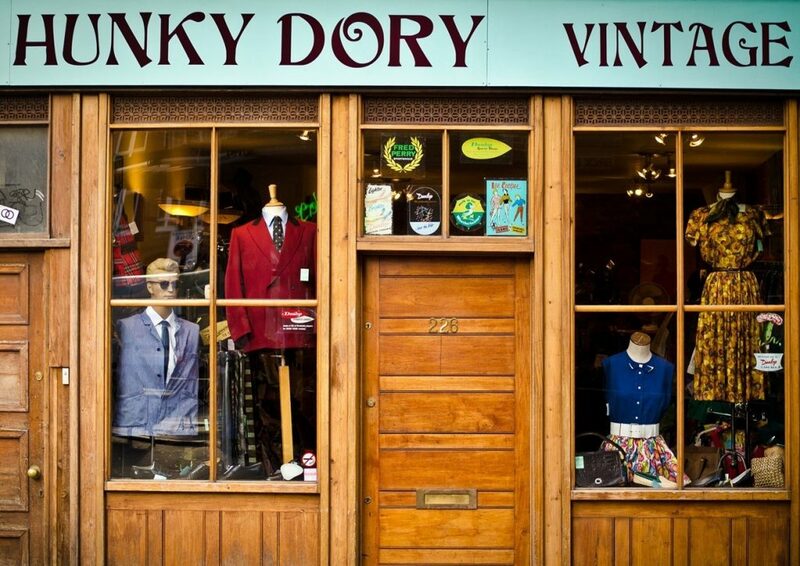 At the top end of Brick Lane is Hunky Dory. It is a small shop and although there is very little men’s, they have some lovely women’s vintage. It’s a really stylish little shop and a great place to finish. 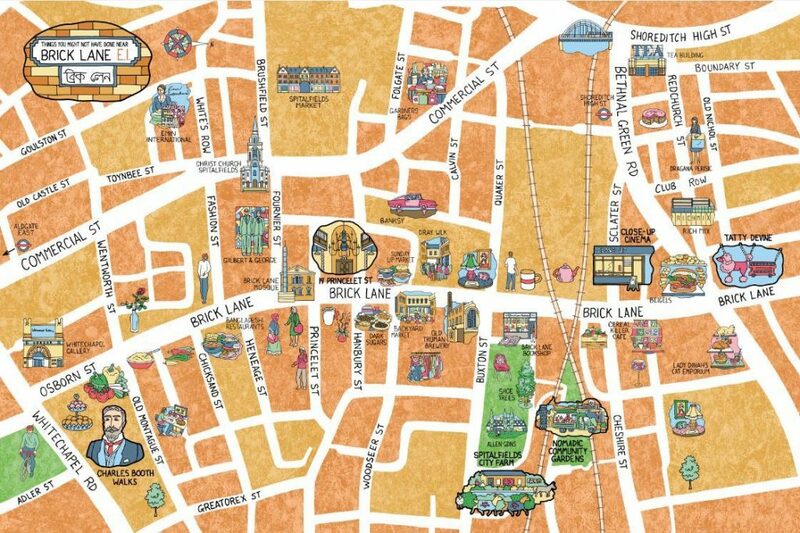 We hope this inspires you to visit Brick Lane, it is a great day out and one of the best areas for vintage in the country. If you can’t get to London, why not shop thousands of lovely vintage items from the comfort of your home at the RETRuly Marketplace. 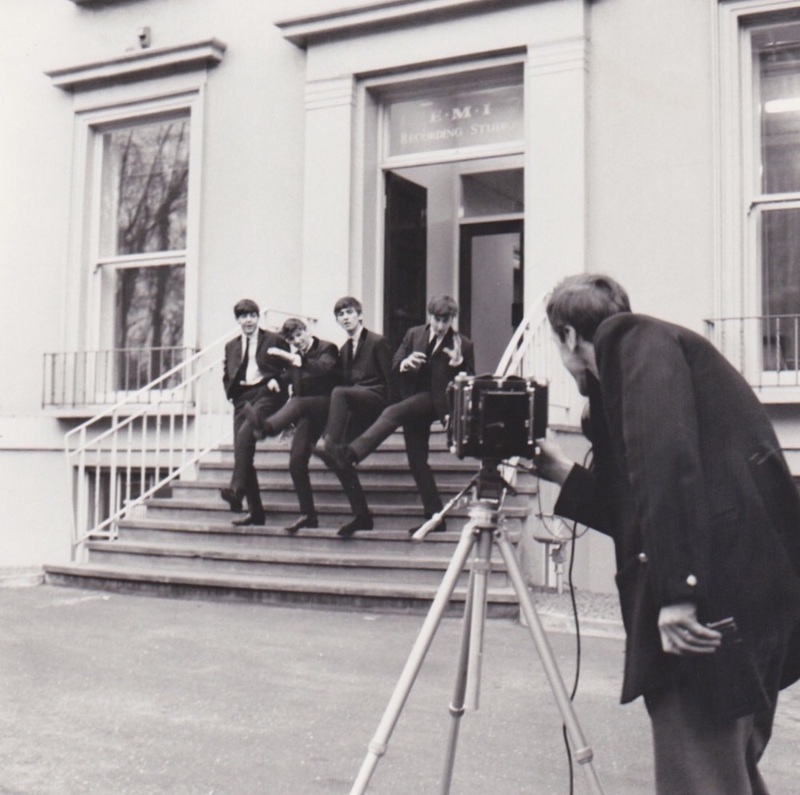 On this day in September 1962, the Beatles completed their first single at the Abbey Road studios in north London. 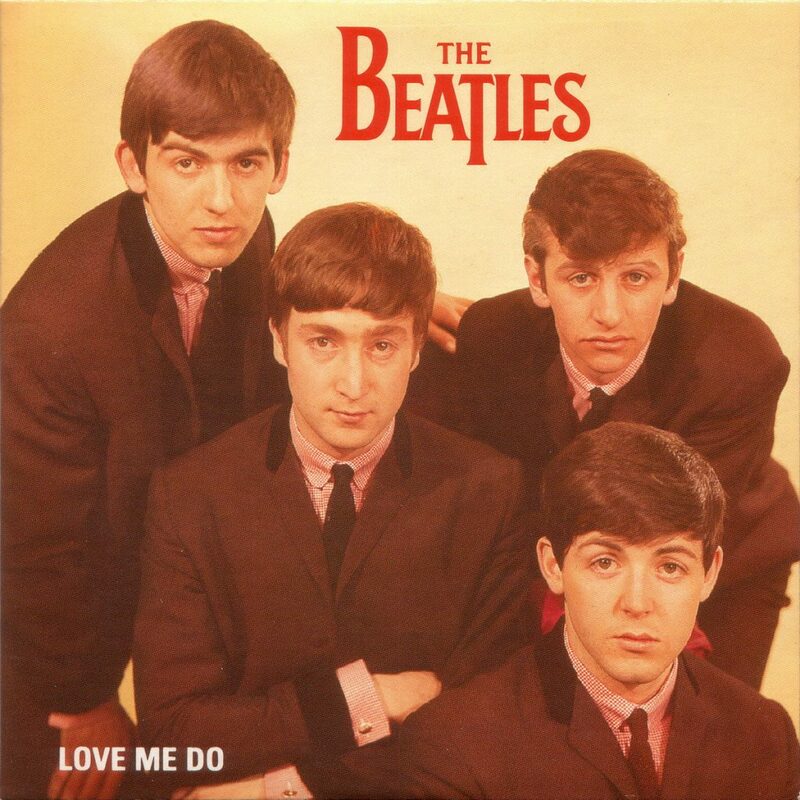 A double sided single, with ‘Love Me Do’ on the A side and ‘Hey Baby’ on the B side. A release that would change the music industry forever. Brian Epstein, the Beatles’ newly appointed manager, had work tirelessly to get the Beatles signed by a record company before the small Parlophone label step forward. Parlophone’s boss, George Martin, had previously been best known for releasing comedy records with Peter Sellers and the Goons, but was looking for a “beat group” in the mould of Cliff Richard and the Shadows. The single was released on October 5, 1962, with very little promotion from EMI. Apparently Epstein ordered 10,000 copies for his Liverpool record shop which was enough to push it into the Top 20 and 10 times more than he could ever sell. It also became a dance favourite throughout Britain’s two ballroom chains, Mecca and Top Rank. Even so, it got no higher than number 17. 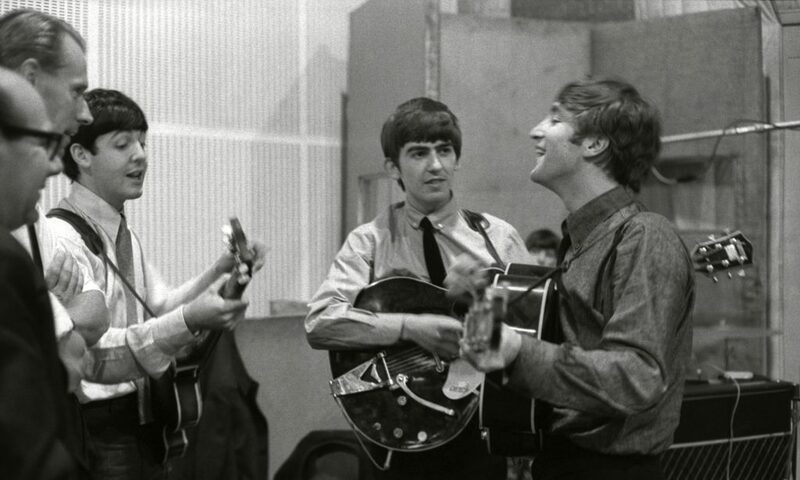 For the Beatles, its real importance was cementing their relationship with George Martin, a producer who was to be of crucial importance to the end of their collective career. When they returned to Abbey Road with a new Lennon-McCartney song, Please Please Me, Martin offered no objection. At the end of the session, he told them: “Gentlemen, you have just made your first number one.” And he was right. RETRuly a now has new and growing collection of Vintage Vinyl Records. 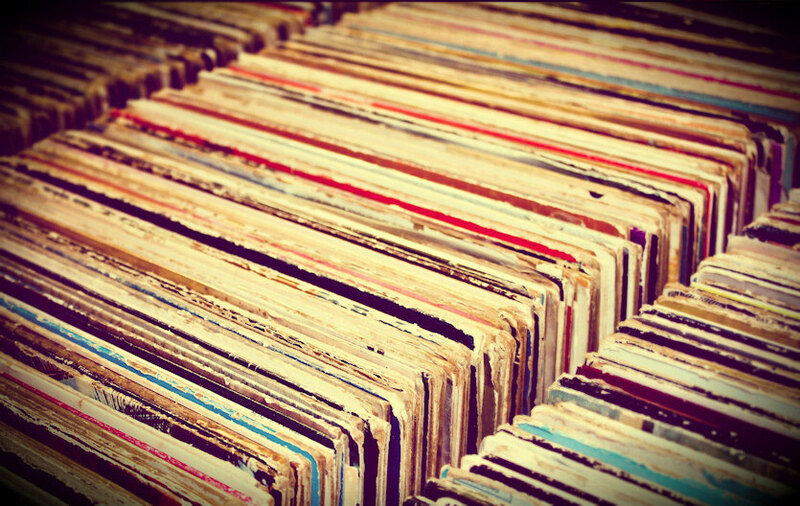 Vinyl records have recently seen a resurgence in popularity, hitting a 28 year high in sales. For many, vinyl has always been their preferred music format. Yes, they can take up lots of storage space, but in the era of downloads a new generation of discovering the joy of buying vinyl and the ritual of slipping the album on their turntables. The collectors market for vintage vinyl is huge, with many online outlets and record shops, but if you are just starting out what should you look out for when building your collection? With all collecting, condition is key. Vinyl is prone to scratching if not handled carefully so it is essential to inspect it for scratches and scuffs as a damaged record can be unplayable. Also, avoid dirty records as these can create lots of noise on playback. The condition of the jacket is also important so ensure you check carefully for damage. So what is the right price to pay for your vinyl? The price is based on the condition, scarcity and demand. You can generally find most fairly common vintage vinyl records for about £5-10 but expect to pay more for original 1960s and 70s records. 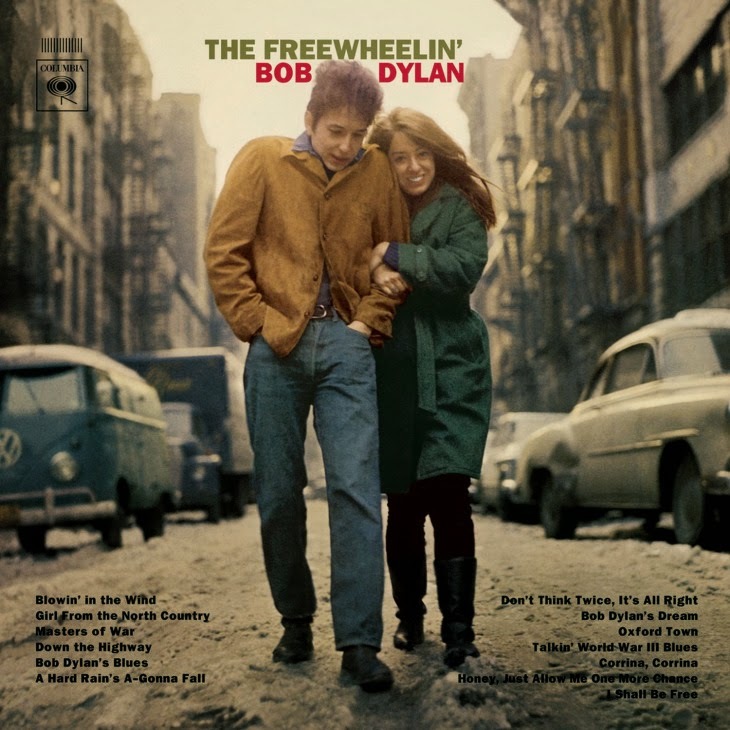 You can however pay up to £20,000 for and original with drawn version of Bob Dylan’s 1963 Freewheelin’ album due to it’s scarcity. The earlier the pressing of a record, the more valuable it is. So how do you determine whether of not an album is a first pressing? This can be difficult to determine even for seasoned collectors but certain tell tale signs which show they are later pressings include finding dates on the album that are later than the original release date, albums first released in the 70’s with barcode indicates that they are re-releases, early records tend to be a thicker vinyl so this can also be an indication of age. There are many online resources available that document the key first pressing indicators for particular albums. So as a rule of thumb, before investing a lot of money on a record, do your homework. There has been a resurgence of independent record shops and vinyl can regularly found at vintage fairs and even charity shops. For those that prefer to shop online, there are many online vinyl shops and you can now buy vintage Vinyl Records from RETRuly Marketplace. There are many storage options available, but ensure they are kept in a dry place with no exposure to heat or direct sunlight to keep them in top condition. We are thrilled at RETRuly to have opened our new vintage vinyl department, with some great vinyl sellers adding more stock all the time. The popularity of vintage clothing continues to grow with each passing year with more and more sellers entering the market to satisfy the demand. The increase is accessibility of vintage with more and more businesses opening on the high street, the internet and even eBay seems to have blurred the definition of vintage. So what is vintage clothing? This is a question that we are asked on a regular basis and to a certain extent this is a very subjective question. However, the general definition is that anything older that 20 years from the present date can referred to as vintage clothing and antique clothing for anything from the 1920’s and earlier. So how do we define vintage? We have always generally defined vintage as anything pre-1970s, but recognise that this is subjective as each new generation dicover vintage this standard definition has shifted. We recognise this and reflect this in our Marketplace. We want to be as inclusive as possible and welcome all generations of sellers so are happy for the 1980’s and 1990’s to be included but provide filters so searches can be narrowed down to a particular era. The one exception we do ahere to is listing new or modern items designed in a vintage stye. To maintain the integrity of RETRuly these modern items will be removed. So does it really matter? yes, if you browse other marketplaces it is very hard to find original vintage as it is competing with thousands of modern reproductions pertaining to be vintage. This will never happen on RETRuly, our team of experts regularly review our content to ensure that the integrity of our site is maintained so will remove any items that do not conform to our listing policy. We understand that many sellers are busy managing their business and finding time to set-up and list on a new platform can be a challenge. We would like to help. We have created a brand new Shop Start service so you can leave it all to us. So what are you waiting for? If you sign up to this service today you can be up and selling with no risk and no cost. Many people have dreamed of leaving their 9-5 job to start their own vintage clothing business, but building a successful business in such a competitive marketplace in no easy task. It takes, passion, focus, hard work and dedication. Paul, the founder of RETRuly is one of the pioneers of selling vintage online and shares his experience and provides some advice to help you make a success of your business and avoid some of the pitfalls. The very first thing you should do is decide on your business name. We recommend keeping it short and memorable. It is also important that the domain name is available. You can check the domain availability at Domain Check. Once you have chosen your name, reserve the domain name. This is one of the biggest challenges for any vintage business and one that needs careful consideration. In our experience, it is better to specialise in a particular area rather than trying to sell a bit of everything. This way you can become an expert and target your customers much more effectively. Where does your passion lie? Dresses, handbags, jewellery, men’s vintage? This is what you should specialise in. Great, so now you have decided on what you want to sell. But before you start buying you need to ensure that you can actually make a profit. So what prices can I expect to achieve and how much should I spend on the stock? The unique nature of vintage makes this a challenging question but there is a really useful tool that for a small monthly investment can save you hundreds of pounds in the long term. Terapeak is a fantastic resource for researching the market. It provides three months of ebay sales data, enabling you to determine the size of the market, prices achieved, the most successful vintage businesses selling what you plan to sell. Using this valuable resource not only gives you an idea of what you can charge, but you can also determine the size of the market and also research the successful businesses so you can learn from them. We also found that using Terapeak identified product ranges that we hadn’t originally considered. There is a small monthly fee, but we recommend this tool as it helps you make informed decisions that can be the difference between success and failure. So you now have a more complete picture of what you can sell your products for. So now in order to make a profit you need to ensure you buy the stock at the right price. You need to factor in all your direct costs, cleaning, commission, sales fees and also you indirect costs, time, equipment costs, utility costs etc. As a rule of thumb, you need to be aiming at buying your stock at about 30-40% of your sale price. Where can I buy stock? This is probably the biggest challenge you will face as a vintage seller but there is no easy answer. Vintage sellers build up a network of suppliers over many years and closely guard these valuable contacts. However, there are now a number of online vintage wholesalers that can be found with a simple google search. The only advice we have is to proceed with caution and don’t make a big purchase until you know exactly what you are getting. Where possible go and meet the wholesaler first and look at the stock, some even allow you to hand-pick. If this is not possible, start with a small sample order so that you can check the condition and quality. Don’t make the mistake that many new sellers do place a large order hoping for the best as you may end up with lots of dead stock that will kill your profit margin. For a new seller we would recommend starting small and building your business over time. To do this there are two main options, either vintage fairs or open an online marketplace store. Selling on your own web page can be expensive, although there are many hosted solutions such as shopify, one of the hardest things is getting enough traffic to your new store to generate the sales that you need. This takes time and you need to either spend on Google Adwords and/or SEO to build your web traffic. We would recommend opening a store on a specialist online marketplace. You will get an immediate online presence with no financial investment. There are a few options for vintage sellers, ETSY, eBay, ASOS Marketplace and now RETRuly. So which one is best for me? ETSY is a huge online Marketplace with tons of traffic but it is an American business so most of the buyers are based there. Also, with millions of products you are likely to have to pay to promote your items to get the visibility you need. eBay is the largest online Marketplace, with many Vintage Sellers doing pretty well on there, but many sellers are leaving them as it is not the site it used to be. With high fees, regular policy changes and a search algorithm that is geared towards multi-list items it is a real challenge to get your products seen. 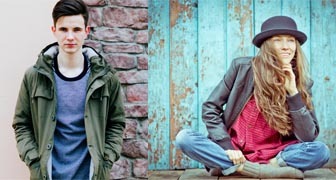 If you have access to a good photography set up and models and can meet ASOS Marketplace rigid listings requirements this can be a good option for you, but you need to work hard to build your sales and reputation to get good visibility in their search. We have also found that although a paid promotion option is available it is hard to find an open slot as they tend to be block booked by other sellers. RETRuly is a new marketplace, so can’t compete on the traffic generated by the corporate marketplaces, but as specialist marketplace with lower fees and fewer sellers to compete with it may be a good option for you. RETRuly is also run by a team with a real passion for vintage who can offer a more personal level of support and advice that the others can’t. So you have your stock and have decided where to sell so how do you list your items to maximise your chances of selling? Because buyers are scanning lots of items you need to ensure that your get noticed. Your photos therefore need to be good. There are plenty of online resources with advice on product photography, so do you research. Whether you are using models, mannequins or flat photography it is essential that your images show your products of to the full, with various views and closeups showing texture, patterns or defects. We recommend investing in a good camera as this will pay for itself in no time with increased sales. Your product title needs include all the key words that buyers are likely to use to search for your product as poorly worded titles will not be found in on-site searches or google. It is also a good idea to specify the product size in the title. If you have grabbed the attention of a potential buyer with your photos and title your product description is your opportunity to close the sale. You need to be as descriptive as possible, include all dimensions, fabric details, care instructions and also identify any defects that may be present. So you have opened your shop and now need to attract buyers. Following the listing guidelines above will bring your customers but you also need to do all you can to promote your own store and listings. The most effective way of growing your business is to build your repeat customer base. The first order is always the hardest as your customer is making a leap of faith in you. Never treat a sale as a one-off, instead treat it as the start of a relationship with that customer. Give them a reason to keep coming back by providing an excellent service, package nicely, ship quickly and respond immediately with any concerns that customer may have. It is also very important to maintain your store by regularly listing new products and ensure that any items that are no longer available are removed from sale. We really hope that you found this guide useful. Click here to download a PDF version of this guide. The expert team at RETRuly have a vast amount experience in selling vintage online. All RETRuly store owners have direct access to our team of experts who are available to support and mentor. In our second seller interview we hear from Faye Kingston, Owner of Throw Back Vintage. 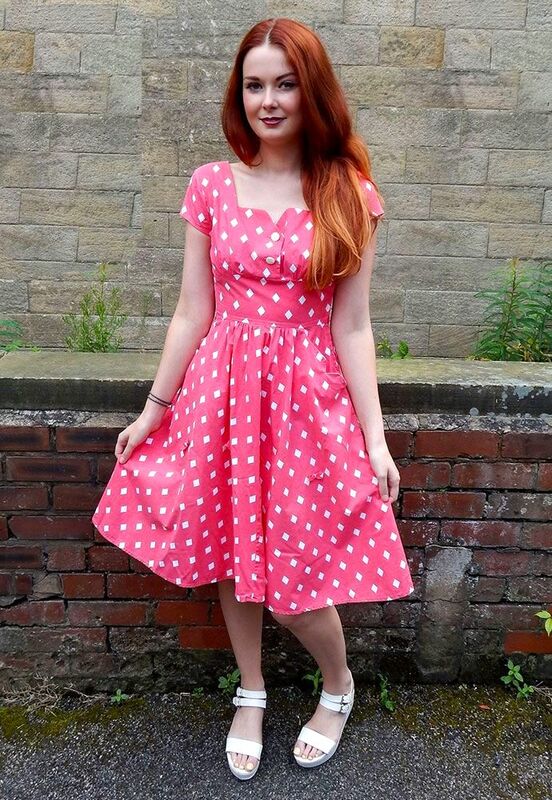 Here is what Faye has to say about her business and the world of vintage clothing. 1. Can you provide a brief introduction to your business? We sell vintage, retro and reworked items. Focusing on the fashion trends, and bringing high quality affordable clothing to everyone. Our brand makes clothing accessible to everyone. We love recycling! 2. How long have you been selling vintage? Since I was in 6th form. It was a side line. So nearly 7 years now. 3. How did you get started in Vintage? I went to Uni to study biochemistry and had a suitcase of vintage under my bed, and sold it. Decided I hated my course and left it to sell vintage. 4. Describe your typical business day. We arrive into the warehouse, have a shoot with a model, list items online and edit photos, source stock, stock arrives in containers once a week from the USA and we sort it, taking and picking up laundry from our washing man. We pack orders up, and send them next day delivery in the uk. Showing items on Instagram before they hit up online! 5. What is your favourite era and why? Im not one of these people that is era specific, I like to mix things up and mix up eras but if I had to choose I love the 1940’s or 1950’s. Due to how feminine the clothes are, and how shapely the clothes make a woman look. Although I have to say I started buying 1940’s and 50’s clothes because they fit really well. 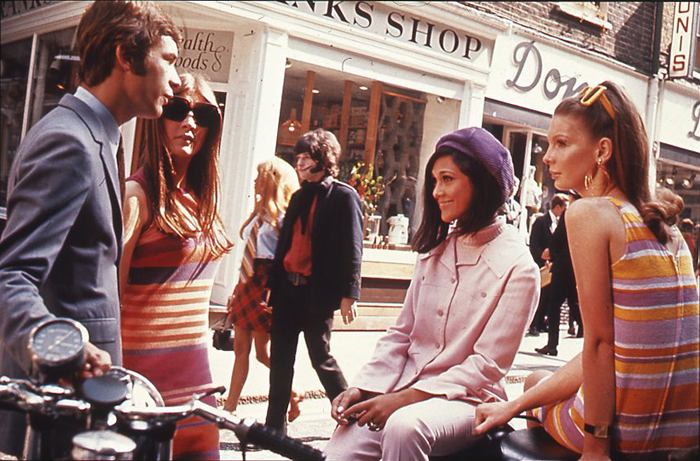 I love the 60’s as well, because everything is so vibrant and bold. That’s why the 80’s rocks too! 6. What are your favourite 2 items you currently have listed? 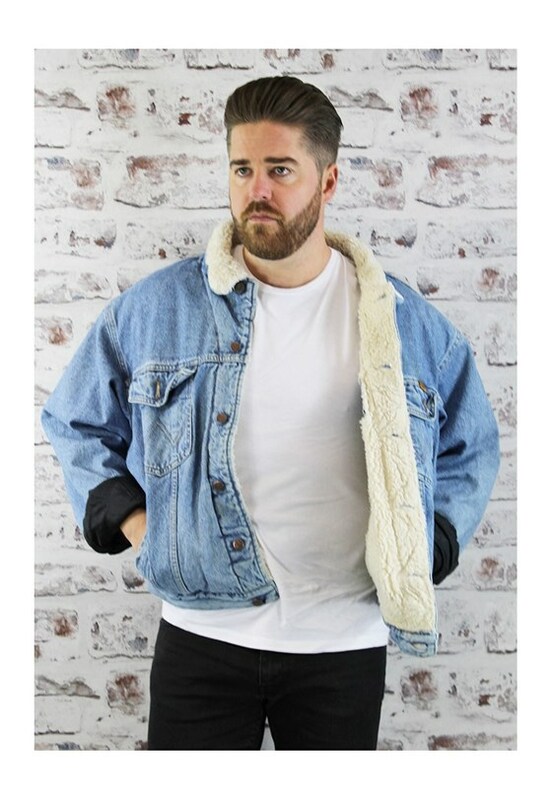 I love any of the Sherpa Denim jackets we have as they are so versatile and easy to wear. They can literally be worn with anything!! 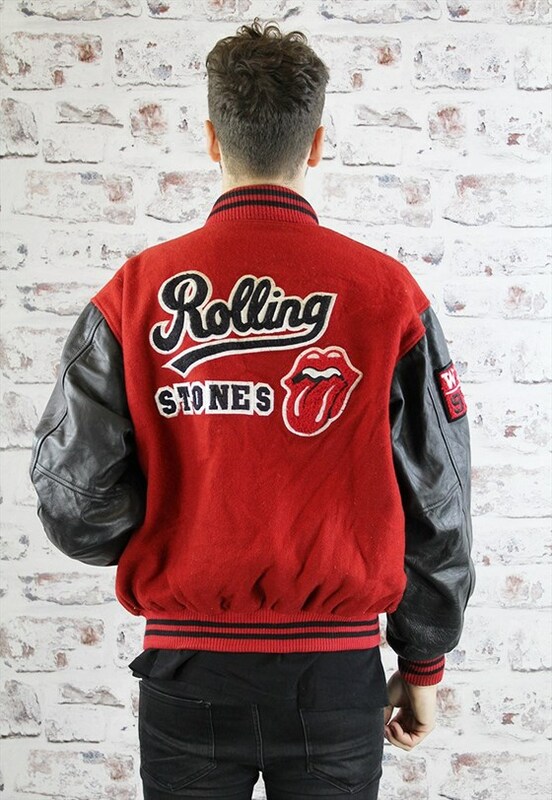 Another item I absolutely love is the Rolling Stones bomber jacket! It’s so cool!! Someone has got to rock that. If it fit me it would be a keeper. What are your future plans for you business? We want to concentrate on up cycling more, and turning garments which are completely trashed or undesirable into new quirky on trend items. 7. What are your future plans for you business? 8. What advice would you give to anyone thinking of starting a vintage business? Be careful about what you want your brand to be about. Don’t try and do everything at once, try and be niche. 9. What was your most exciting vintage find or what was your most memorable buying trip? My most exciting vintage find, was probably at a flea market in Paris, where I found a 1940’s cashmere coat with arctic fox fur trim, for 20 euros! Complete bargain. It was a keeper, but it’s been moved along now. Or with the containers, I literally have no idea what I’m going to receive. Well I know what kind of things. E.g denim jackets. But a really rare Coca Cola bomber jacket showed up in one. It was awesome! <CLICK HERE> to see the Throw Back Vintage ETSY Store. The success of the RETRuly Marketplace is due in no small part to our lovely sellers. In this blog we interview one of our sellers, Alexandra, Owner of Queenie’s Bazaar. Queenie’s Bazaar showcases a diverse and exciting collection of the finest vintage jewellery in the UK from well know designers and vintage brands. Including book & film featured items. Luxury vintage jewellery is hand picked for it’s charm and beauty for everyday wearing, vintage inspired weddings and the discerning collector. Here is what Alexandra has to say about her business and the world of vintage jewellery. Queenie’s Bazaar sells beautiful genuine vintage jewellery for all occasions. I handpick luxury vintage jewellery for it’s charm and beauty for everyday wearing, vintage inspired weddings and the discerning collector. I’ve been selling vintage since 2010 – However I served my apprenticeship while growing up helping my dad with his vintage and antique pottery business. I’ve always loved vintage and antique items, jewellery in particular. I believe this comes from growing up in an old interesting house and having a mother who liked fashion and a father who deals in vintage / antique auctions. I’ve always been called a magpie in regards to vintage jewellery so it was a natural progression to create Queenie’s Bazaar. Each morning starts with fulfilling any orders, weather it be items sold via my own website or on Retruly. I always endeavor to fulfill all orders as soon as possible and send updates via email, as there’s nothing worse than not knowing if your order has been sent or not. After this it’s a case of listing more items for sale with product photos and full descriptions. Any other free time in my working week is set aside for sourcing beautiful vintage stock from various sources, we travel around the country to visit different areas/events so this in itself can take a lot of time, but it’s always worth the effort. It’s hard to pick just one. I admire the Victorian and Edwardian eras. Not just the jewellery however. I like the design of the fashion, the architecture, the furnishings and also the fact that so many things we use today come from that period in time. I also admire some of the influential people of that time, such as Brunel, the creator of the Great Western Railway (which I hope to travel on one day). I also love the 1950s and adore the jewellery of this era as there are so many styles and colors to choice from, I often wear crystal necklaces from this time and find they work well with any outfit in today’s modern world. 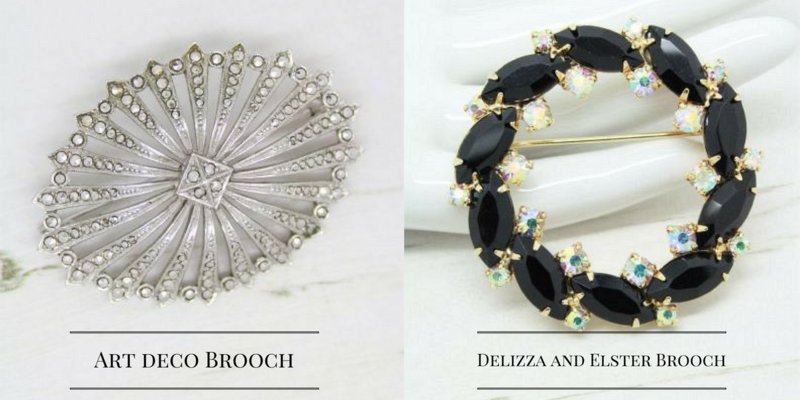 I personally love everything I sell however my current 2 favorites are a stunning Art Deco Sterling Silver Signed Germany Marcasite Brooch and a Delizza and Elster 1960’s Black Aurora Borealis Crystal Circle Brooch, I just love the design and quality of the pieces. In terms of the future, I have recently relaunched my website with a new design making it more user friendly across all devices. However my ultimate aim has always been to open my own shop and workshop area where I can also offer vintage costume jewellery repairs and a rhinestone replacement service. Be yourself. Don’t pander to trends and treat your customers how you would like to be treated. I think it’s very important to always be true to yourself and buy what you like, it helps give your business an overall style which will always be unique. Although not a jewellery find as such, my most exciting vintage find was discovering a set of Sarah Coventry representative cardex files, detailing each individual product that the company sold in the early 1960s. Card 1 simply states “Make your life sparkle”. I just love them and find them very helpful in researching Sarah Coventry jewellery, many Sarah Coventry collectors have put in offers to purchase these however they are one item currently not for sale. <CLICK HERE> to see Alexanrda’s lovely collection of jewellery. Seller Tips – How Can I Promote my RETRuly Store? So you have opened your shop and now need to maximise your sales. In this blog we will provide tips on how to ensure your items get seen in RETRuly and also how to bring more customers into your shop. Shoppers on RETRuly browse by department, search for particular items and use the search filters. It is therefore important that your listings take into account all three of these. In order to ensure your items are seen in the search it is important to ensure that your item title contains all the search terms that a customer is likely to use, it is also advisable to include the size of the item in the title. Once a seller has found your item, good quality photos and a detailed description with accurate measurement and detailed condition report will maximise your chances of selling. When you list an item please ensure that the select all the search filters that apply. If you don’t complete these your items will not show up if the customer selects the search filter. Make sure you use shipping profiles. These allow you to specify international postage options. Don’t limit your sales by only specifying domestic postage rates. 2 – Facebook – Use Facebook to post updates to your store (new listings, promotions etc.) on a regular basis to draw your followers and friends into your store. the use of quality images is the most effective way of getting clicks to your store. 3 – Twitter – Post regular updates, with images on Twitter to increase your following and get clicks to your store. Be sure to add your RETRuly shop link in your Twitter settings. 4 – Instagram – This is one of the most effective ways of promoting your store. Make regular Instagram posts with great quality images and good use of # tags will soon increase your following and raise awareness of your shop. 5 – Pinterest – Like, Instagram, this is a great tool to use to promote your items. Create collections and group your items. As you add items from the social links on RETRuly the items will automatically be linked. 6 – Write a Blog – A blog is a great way of building a following. By linking to your store of specific items it will also drive traffic. 7 – Hold a SALE – Why not mark down some of your items in the Listings Manager and promote your sale. 8 – Enlist Family and Friends. Make use of the contacts you have to spread the word. Why not get them to visit your shop, like some of your listings and post them to social media using the quick links on the web page. We hope that you found this useful. We will release more seller guides over the coming weeks, but if you have a specific subject that would be useful to you please let us know. 5 ways to sell vintage homewares – but which is best?